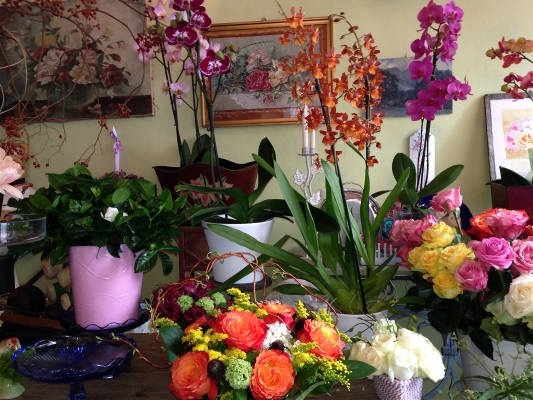 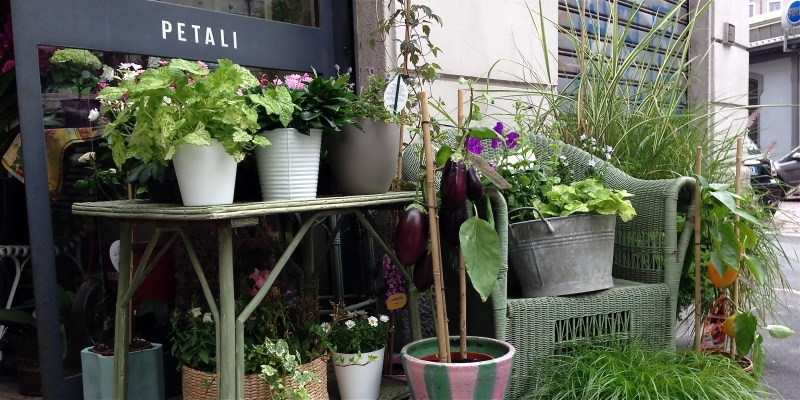 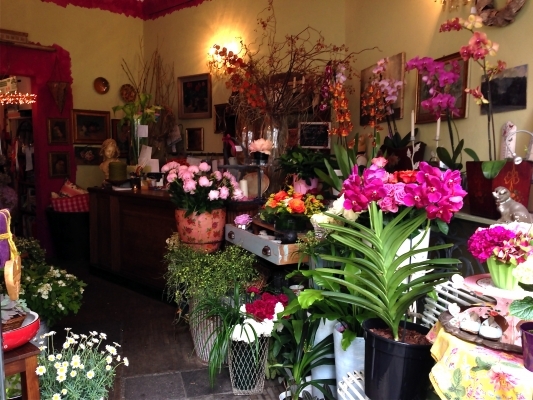 This unusal shop on the corner of via Muratori and via Botta sells a spectacular and colourful array of flowers, plants, grasses and orchids hidden amoung an array of vintage objects. 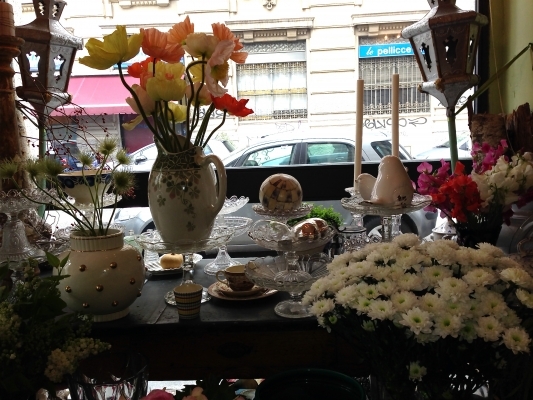 Here you can find anything from old paintings, tin tubs, cache pots, watering cans, ornaments, a host of glass cake stands, flower pots, fans, lamps, tables, chairs, jugs to teddy bears. 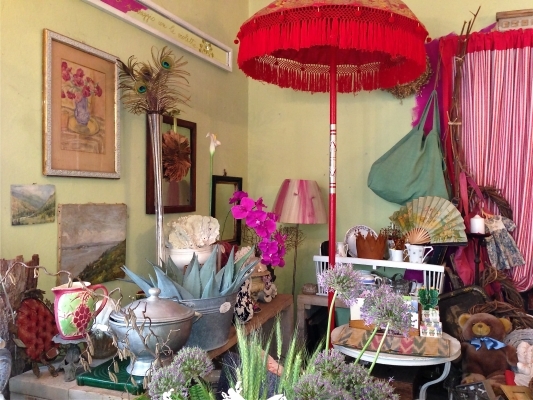 This quirky shop is definitely worth a visit and everything is on sale!